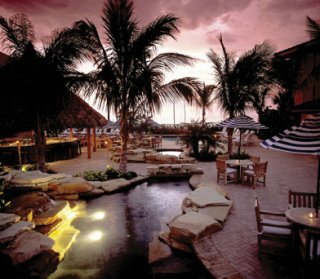 If the southeast coast resorts are where the wealthy go to be seen, then the southwest Florida resorts are where they go to getaway. Tucked away in the corner of Florida, bordered by the everglades and the gulf, this area has been an escape for the affluent for close to a hundred years. Thomas Edison built a winter home in Ft Myers that still stands today as a reminder of his influence. There is even a whole street lined with palms trees that I was told that he had planted simply to make it look better. This type of influence is reflected in the resorts even to this day. Here are some examples of these resorts. 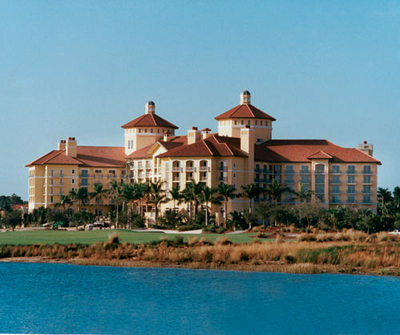 One of the best known of these southwest Florida resorts is the Ritz Carlton in Naples. This is an absolutely gorgeous place. It defines resorts with its’ multiple restaurants, a spa, tennis courts, golf, pool cabanas, and more. It even goes above and beyond with a a high end gaming area called Vue (Virtual User Experience), which looks like it is as much for adults as it is for kids. There is also an environmental experience called Natures Wonders which includes 9 aquariums, and 2 touch tanks allowing interaction with several native species. What an amazing place. Another beautiful high-end resort which provides gorgeous accommodations with a luxurious tropical feel. 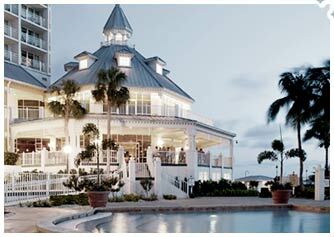 There is an oceanfront golf course and spa resort, as well as waterfront fine dining. Visitors to La Playa rave about the service, and usually return again and again. 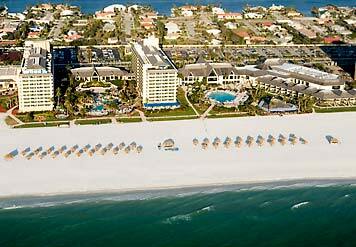 A true Florida beach resort. It has multiple pools & spas for every need. Amenities abound here. Included in these are championship golf , a fitness center, several restaurants, and beach huts with lighting to allow for relaxing on the beach under the stars. This is also an excellent place for the family. It has the Tiki pool designed with the kids in mind, built with fun things like a waterslide. This wonderful resort, which is tucked away on secluded Sanibel Island, features modern luxury with a touch of old Florida charm. It has a variety of accommodation styles including hotel rooms, condominiums, and concierge-style rooms & suites. This resort offers a wide array of packages to suit many a vacation need, and can be a great place to get away from it all & relax.